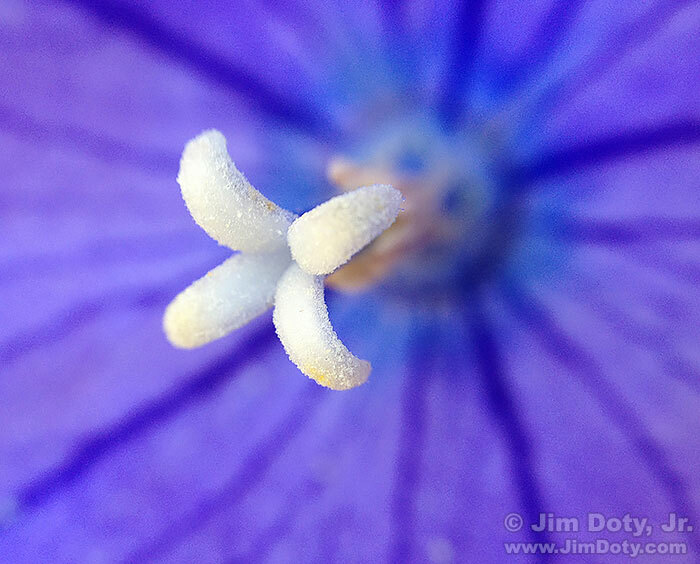 Balloon Flower Closeup, iPhone with Olloclip closeup lens, Columbus, Ohio. October 12, 2015. In my October 9 post in this series I mentioned taking iPhone photos in my garden as a result of an interview for a photography article for the Akron Beacon Journal. I was back at it in my garden on October 12. 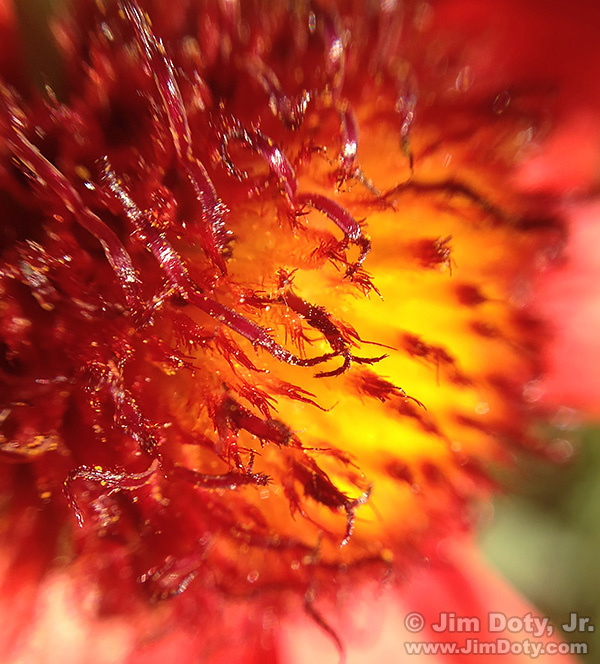 Blanket Flower Closeup, iPhone with Olloclip closeup lens, Columbus, Ohio. October 12, 2015. This time I was using an Olloclip closeup adapter on my iPhone to do flower closeups. IT is an excellent accessory. My favorite image for October 12 is the Balloon flower closeup. Cut River Bridge in the Fall, Michigan’s Upper Peninsula. October 12, 1994. 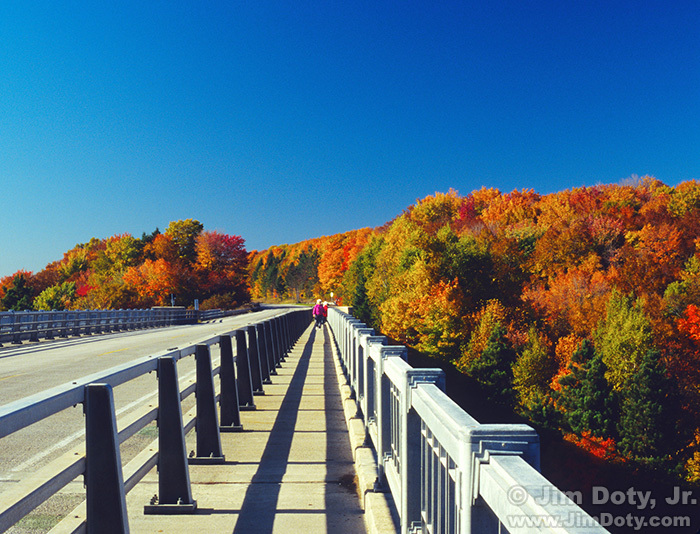 My second place favorite photo for October 12 was taken on the Cut River Bridge in Michigan’s Upper Peninsula. It was my first fall trip to Michigan’s U.P. and I was blown away by the colors. The bridge crosses the Cut River Gorge. It is a great place to take pictures. You will have to be patient because every passing car and truck creates some motion in the bridge that takes a while to die down. The colors will look great on both sunny and cloudy days. If it is cloudy leave the sky out of your photos. From St. Ignace head west on U.S. 2 to get to the bridge. There are parking areas on each end of the bridge. Aspen, Moraine Park, Rocky Mountain National Park. October 12, 2007. My third place favorite photo comes from Rocky Mountain National Park, another great place to take pictures. 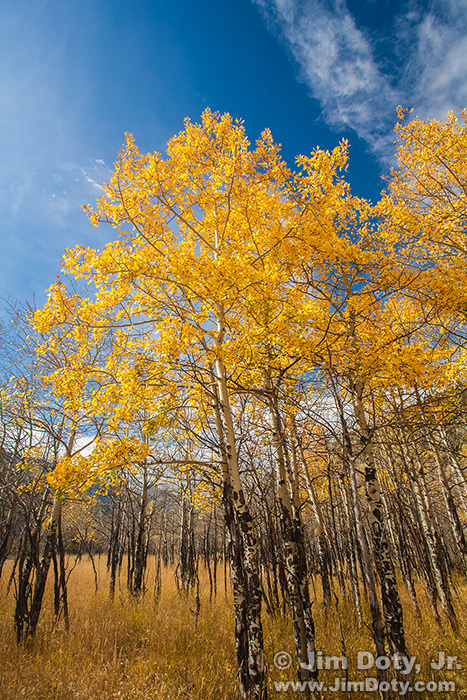 I was in an aspen grove in Moraine Park not too far south of the Moraine Park Visitor’s Center. Most years you will find great color somewhere in Rocky Mountain National Park from the last week of September through the first week in October, and sometimes longer. The color change starts at higher elevations and works its way down. For specific location suggestions read my Colorado Fall Color Guide. This entry was posted in Photo Locations, Photographs by Jim. Bookmark the permalink.